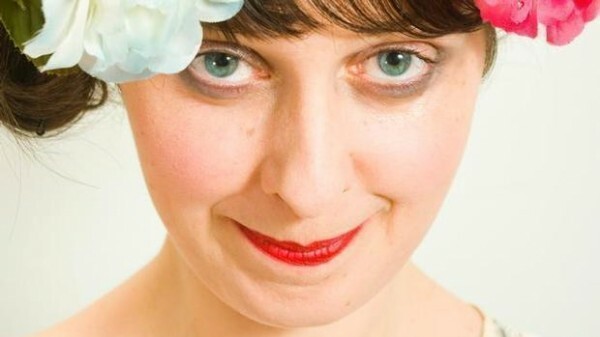 Joanna Neary’s latest Edinburgh show may come as something of a surprise for those used to seeing her play a necrophiliac on Ideal, BBC3’s flagship black comedy. The experience of walking up the almost Lynchian staircase of the Metropolitan Hotel (converted into the ‘Stand Five’ for the duration of August) does taint the pre-show experience with a sense of foreboding; but within seconds of appearing on the stage, Neary supplants this through the sheer force of her nervous yet distinctively child-like deportment. Neary has put all of her eggs in one basket with Youth Club, which takes the form of a long story about a group of Cornish teenagers who attend their local youth club. There is no particularly dramatic event that must be reckoned with beyond the many inconsequential crises of a fifteen-year-old: rather, Neary conveys a particular moment in time that she is evidently nostalgic for. The story is littered with almost too many cultural references characteristic of the late 80s, which at times can feel a little self-indulgent. However, one certainly does not require an extensive grasp of the time period to be able to appreciate a show which affectively captures the redolence of being in one’s early teens. There are many memorable characters on offer here: Mr. Eddy, the youth club leader who annunciates each word with a new dance move; Eva, the madrigal-adapting new-girl from exotic Birmingham; Diana, the centrepiece of the story, who enjoys singing rude songs on the toilet and making things out of Weetabix boxes, and who fancies Gary, who knows the word for kite in Swahili – the list goes on. To effortlessly switch between a whole ensemble of characters takes considerable skill, and Neary pulls it off with no small amount of aplomb. Her talent for physical comedy is also impressive. The simulation of a young girl attempting an impromptu dance to a destroyed tape of the latest pop hit is both sympathetic and hilarious. This being said, Neary is not just a character actor: she also could be described as a comedy musician, to some extent. The comedy songs is often something of an oxymoron, but Neary’s provide some of her biggest laughs while simultaneously bolstering the structure of her story. One particular highlight was a wonderful parody of the kinds of love songs that teenagers write, which had a fantastic balance of writing and delivery. Her big finale is a kind of cabaret compilation of rude nursery rhymes, which felt a little out of context, but nonetheless worked well. Youth Club is a strange but compelling mixture of stand-up, one-woman show, and storytelling. It may not be laugh-a-minute, but respect is surely due to her for further blurring the line between the forms and for being simultaneously innovate and entertaining as she does so.